Wow Bali, you have me in awe. Where should I even begin. I guess, by posing the most common question when planning your Bali trip. Which is, should I stay in one area and go on day trips to explore the island or shall I travel around the island? 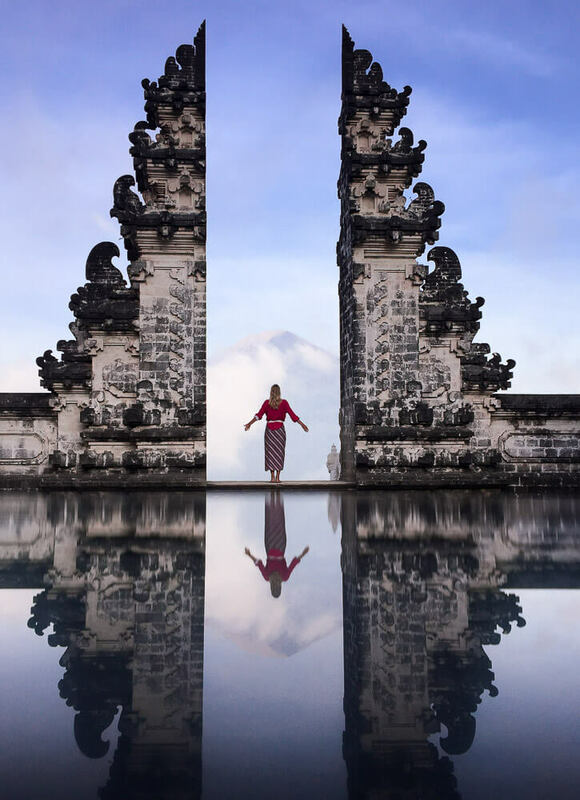 My tips for your Bali trip: choose the latter. Bali is too diverse to only stay at one place and from my experience you will give yourself the greatest gift of experiencing the local spirit of each place on the island even more intense and real. 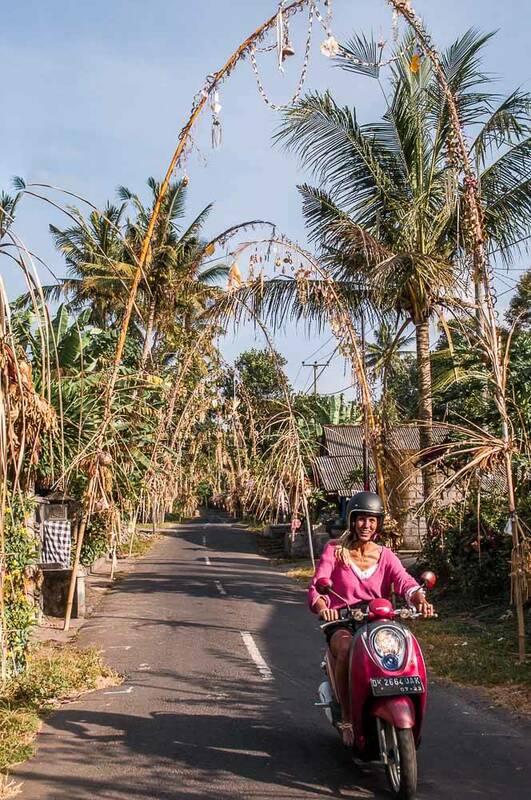 Instead of telling you all my great Bali stories by different topics I will take you on the same route I took and tell you something about each place on the way. For our Bali trip, we took two seperate flights and ‘took over’ Bangkok for 24 hrs. on our way in and out. We flew with KLM long-distance, always reliable. For our domestic flights we chose Air Asia. Flight price and the flight itself were rather good but the online check-in process was a complete disaster as the website kept crashing. Next time I would switch to another airline. Bali is not big so you can easily travel from the East to the South in one day. You can choose to travel with the car (a private driver to get you from A to B is cheaper than taxi or ‘Grab’ which is the Indonesian ‘Uber’). For shorter distances we used Grab though. You can also travel by scooter (too much luggage for that!). Renting scooters is a very easy process and extremely cheap (50K IDR rental price, 10-15K IDR for a full tank). You might want to have an international driving license though in case there is a patrol (if it’s officers in the same uniform you can bribe them – not that I promote it – if it’s different uniforms it’s a state patrol and you would be advised to NOT bribe them). Weeeeell, I didn’t have an international license and even forgot my normal one at home haha. Best app to navigate your way around offline is maps.me by the way. We decided to not focus on the whole Kuta/Seminyak/Canggu area. But I am glad we got to experience it at least for one night. We had an amazing organic breakfast at the Café Organic in the morning which was the perfect start to our Bali trip. The bowls are sick (highly recommend the Africa Bowl). Go check out some other cool places I unfortunately didn’t have time to visit like The Matcha Café and Nalu Bowls. For dinner, I can highly recommend Moana Fish Eatery. We stumbled across it and only found out later that it’s one of the top places to eat. Go try the tuna bowl. I normally don’t eat tuna due to the fishing method, but on the island the fish is very fresh so I made an exception. Our AirBnb place had this typical cozy and inviting bali vibe and was very affordable yet still private and stylish. 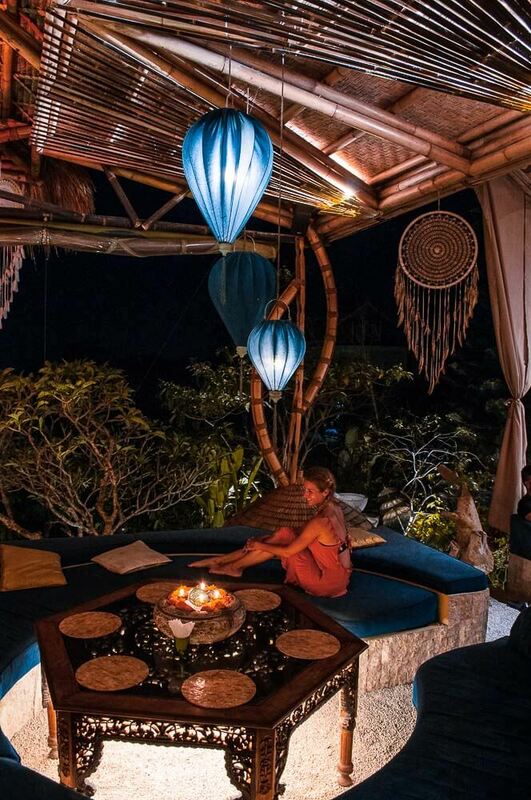 I also looked up some other cool places that seem like fun: The Chillhouse, The Jungle House and Own Villa Bali. To get to the North from Canggu we got a private driver. We had no idea we were just about to meet the sincerest person on the island. And the feeling was mutual haha. He ended up being our driver for all our remaining rides. It’s a bit harder to find those ‘stylish’ accommodations in the North. Nevertheless, it’s worth staying in this area for at least 2-3 nights. 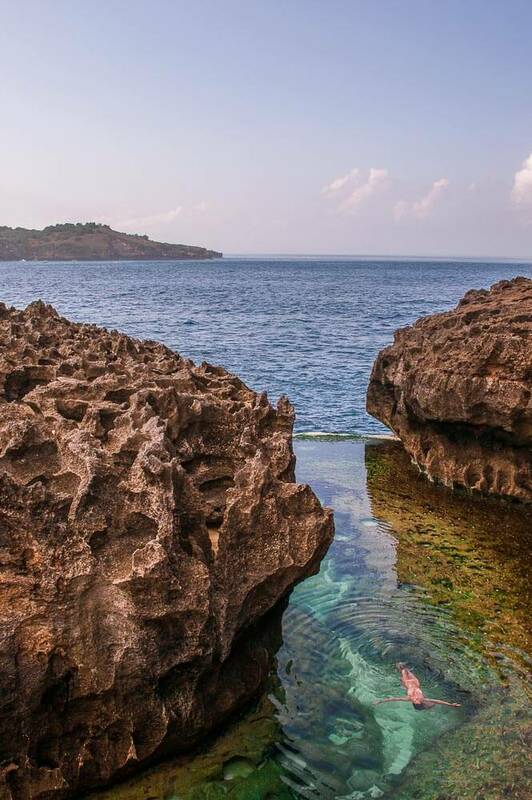 Add diving in the North to your Bali trip and you’ve got your perfect getaway. I went with Orca Diving they offer different trips also to the West and East. I was lucky we went all the way to the West to Menjangan for my dives. It’s an underwater paradise where I got to witness the famous ‘Special Giant Frog Fish’. A very special highlight was a bunch of baby sharks in a cave. Another gem in the North is the Sekumpul Waterfall. Bali is for sure known for it’s waterfalls…and at the same time for its maaaaany tourists. Sekumpul is one of the lesser known waterfalls but definitely one of the big ones and a real experience. Words won’t do it justice so I’ll let pictures speak for themselves and deeply urge you to go! You don’t need a tour to get there: grab your scooter, enjoy being the only tourist on the street packed with locals, and get there early in the morning. From there on simply enjoy! And hey if we’re already on the street might as well continue speeding with the scooter to the Banjar Hot Pools. The official spiritual temple is located in Tirta close to Ubud but Banjar is a good location to still catch the vibe. And ladies, if you feel like shopping do it here. You will find places like Ubud, Canggu etc. completely over-priced. For dinner, we found our paradise in form of the Bambu Warung and had the best Nasi Campur here. Big , big insider tip! Finally, we kindly asked our driver friend if we could stop for a little foto shooting action on our way down from the North to Sanur Beach at Wanagiri Hidden Hills. Boy, if we had known how much fun he would have watching me enjoy swinging on THE Big Bali Swing. Yes, I tend to have a loooot of fun during those kind of ‘activities’, it was like a freaking roller coaster. There are a lot of different swings on the island. 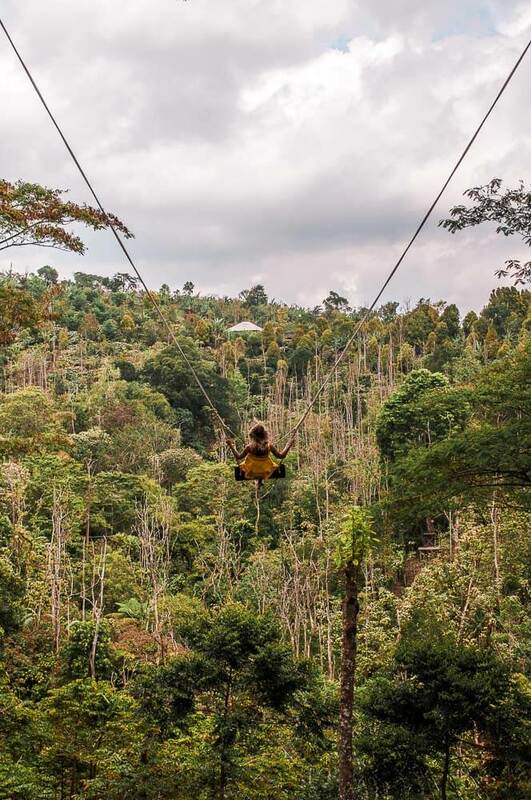 If you’re not afraid of heights try to hit the BIG one at Wanagiri Hidden Hills! There are ferries running between the different islands from Sanur Harbor. We chose Maruti Express and reserved our seats ahead of time. Upon our arrival I quickly paid via credit card and received the tickets, very simple (350K IDR one way). There will be a lot of bad reviews about the ferry operators. Don’t listen to them, we didn’t have any problems. Well the boarding process was a bit funny since you board through the water. But hey, if we can do it with suitcases you’ll manage, too. I can highly recommend this gem: Eco Villa. It sleeps up to 6 people and is very pretty while Sanur area is…so it makes up for the perfect stopover. And now a big shoutout to Nusa Penida – what an amazing island. I highly recommend staying at least 2 nights as you will be able to really get that ‘small island feelin’ on. We stayed at a cheap but very new and clean Cottage. Scooter rental with a surcharge of 80K included. In general, I was such a looser at driving the scooter at first but became such a pro at Nusa Penida (have never seen such steep and bumpy ‘WTF roads’ as we called them). You can stay at one place or travel around, simply depends on your luggage situation I guess. The advantage of traveling around is that you will save crucial time since infrastructure isn’t good on the island and it will save you having to go certain streets 3-4 times. Since my dive certificate at Great Barrier 3 years ago I have this urge to visit stunning dive spots all over the world. Nusa Penida is one of these spots. I chose Octopus Dive and felt very comfortable with them. You don’t have to organize things ahead of time, just walk up to them and schedule some dives. Now for diving, that feeling of leaving early in the morning having the whole day ahead is priceless. The big advantage of dive days is always a sick boat ride included in the package. If that didn’t have me lucky, the occurring events would. At ‘Manta Point’ I got to dance with 5 manta rays and on our way over to ‘SD Point’ we spotted THE ‘Mola Mola’ in the deep blue which was a size of 2-3 meters in diameter. Now, seeing the rare Mola Mola was the ultimate goal in Bali. It is especially rare to spot them out in the deep blue water. Despite this amazing lucky occurrence oh how I wish we would have spotted him in the shallow waters. Everyone was going crazy on the boat. ‘Stop the boaaaaaat…Mola Mola!’ ‘Lisa, Lisa, get in the water….slowy! We don’t want to scare it off’ ‘Give me my fins’ ‘Naaah, get in without them’ Once in, as expected, I couldn’t fight the choppy water at all. ‘Give me my fiiiiins’ And as I was putting them on in the water….I successfully dropped my GoPro. And down it sank with an unstoppable speed…too deep to recover. But as a matter of fact, I would always choose the Mola Mola over this fact. 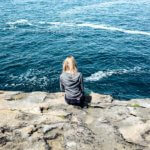 Now we found several places that make up for the perfect relaxation spot on the island. Penida Colada (love the name!) 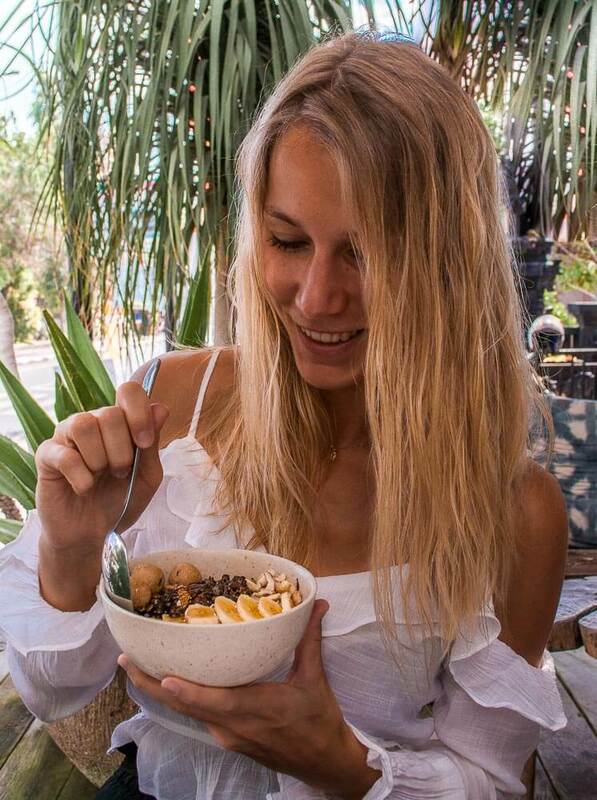 has amazing bowls and smoothies as well as very tasty yet cheap seafood (Try the Honey Tiger Prawns!). At the same time, it’s got this relaxing surfer vibe. We were there every day! 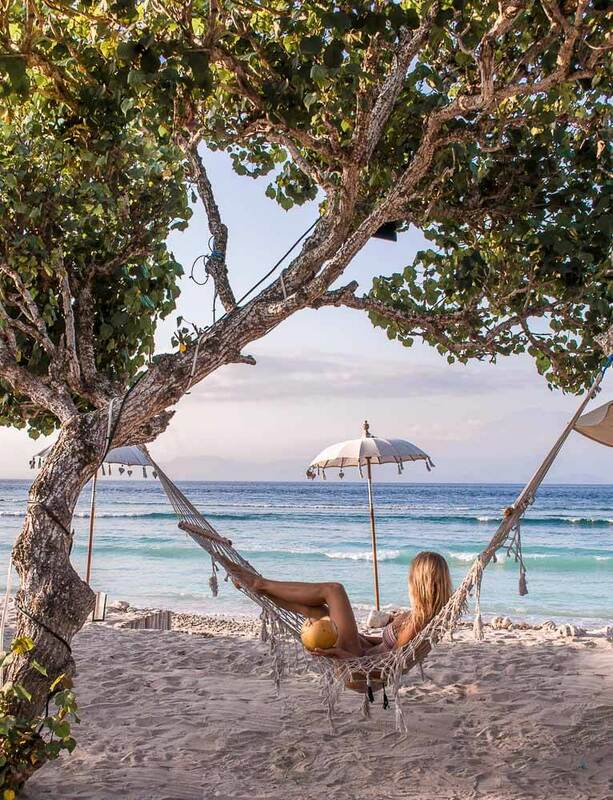 Now, if you want to find a spot with a nice beach close to the main village the AMP Beachclub is a relaxing place. Beautiful all natural beaches are Kelingking Beach and Crystal Bay Beach. Again, in general there are not many tourists around on the island which gave us such a local feeling cruising around. While typing these words I can feel that tingling feeling in my fingers wanting to jump right back on the scooter! The obvious places you should visit on the island are: Kelingking Beach, Angel’s Billabong, Broken Beach, Crystal Bay Beach and if you’ve got time Atuh Beach. Apparently around Atuh Beach there is a treehouse you can sleep in. Unfortunately, we didn’t have enough time to experience it. By the way, cashew nuts and bananas rolled in soft toast make up for a good breakfast to go in the early morning. You can explore Kelingking Beach and it’s views from the top plateau which is where you arrive with the scooter. You can also hike down and spend the day at the beach. Apparently the hike is a bit challenging and takes 1 hr. one way. Even if you don’t have enough time to hike down (like us) this wonder of Mother Nature is still very much worth it and a must. I was so excited that I climbed over the official fence which I don’t advise you to do. ‘Lisa if you climb on that tree as well now I will take your camera away’. Angel’s Billabong and Broken Beach can be done in one trip. Make sure the tide is low for Angel’s Billabong and you can even swim in the nature built infinity pool. Attention: People have died here when the tide was high and big waves came crashing in. Please, be aware when visiting! Ah and yeah, the street to get there is a disaster and quite the adventure. Keep up a positive attitude and drive carefully and you’ll have a fun time. Now, a real gem not many travelers are talking about is the so called Tembeling Beach and Forest. The way to get there is a pain though. I can’t even find a definition for the state the path is in to get down there. I thought we would never be able to get back up with the scooter. 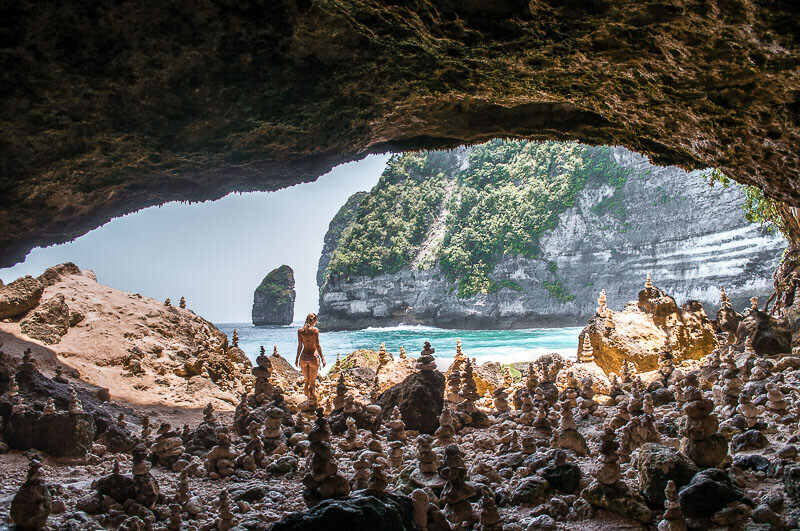 But once down, nature will present you with a temple built in a cave and another cave acting as a gate to another stunning beach. This setting is rounded up by a magical forest. Big recommendation! 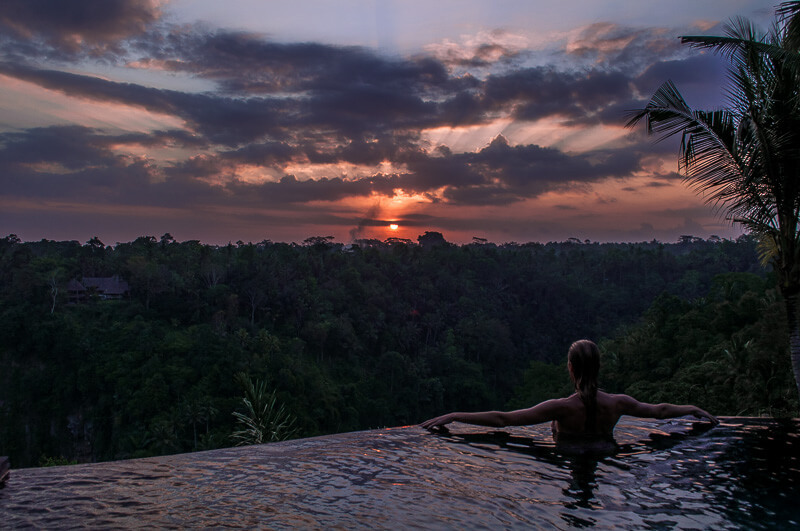 Our aim for Ubud was to really dive into the whole ‘Infinity Pool Resort World’. Hey, you’re only here once. We found an affordable resort called Pramana Watu Kurung and had now idea what we’ve gotten ourselves into. Upon arrival our bungalow with private pool was nice but didn’t quite look like the one advertised online. And this is the moment when you gotta decide ‘Do I say something or do I just accept it?’. Please, say something! After a not so promising ‘Oh we’re very sorry Miss, we’re fully booked’ followed a ‘The last option I can offer you is that you take one of our 2 Superior Suites free of charge’. ‘Please go with my colleague and see if you like it’ and hell yeah, did I like it! From here on our sweetest dream began as we got to spend 3 days in a luxury world we would have never dreamed of. Boy were we appreciative! I was so deeply happy on top of that for my friend whose 30th birthday it was. Well, that made up for some birthday! We got the whole package: 100 square meter room, double king size bed, big private terrace and the best – our own beautiful infinity pool. Of course, floating breakfast and 3 hour massages included. The resort itself was perfectly located as it was located very high up with a view that was to die for. You were overlooking a big canyon jungle, the sun was in the perfect spot throughout the day and for sunset. My favorite spot was standing on the edge of the infinity pool and embracing that immense power and energy nature was confronting you with. There are no words and I will forever have that energy stored as a beautiful memory in my mind! If you feel like checking out some other fancy (also expensive!) 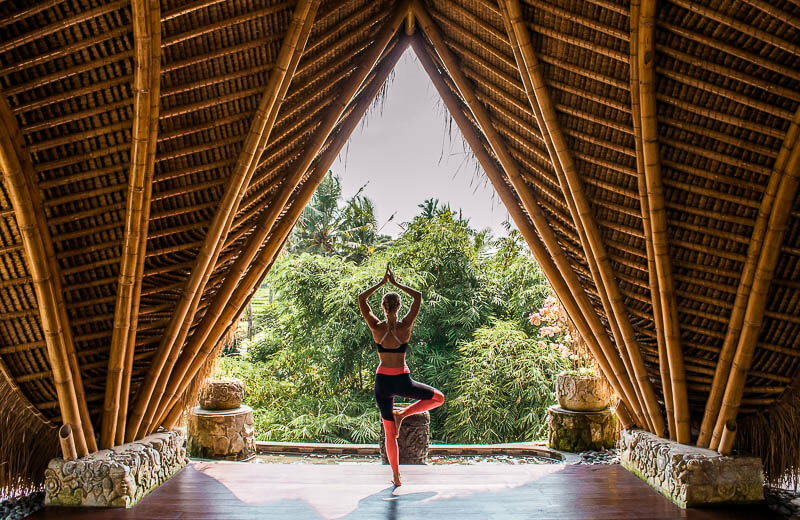 resorts as well: Jannata Resort, Maya Ubud Resort & Spa and Hanging Gardens seem like a good choice. I’ll comment a bit more about locations around Ubud in this paragraph. A very cool dinner location is the Clear Café that has organic amazing food. To enter the food heaven you’ll have to go through a Hobbit Hole, super cool! Throughout the day a hidden spot and insider recommendation is Warung Avocado. Super cool location, Avocado Lovers (order the avocado burger – the buns are avocados – and the avocado curry, yum). In general, we thought Ubud city was very crowded, touristy and hectic so we didn’t feel like exploring too many tourist spots like the Monkey Forrest Sanctuary etc. We did like the handcrafted market right in the center though and brought e.g. some Bali Coffee home with us. Luckily, we had another night booked close to the rice terraces. I had no idea we were to enter our very own Star Wars Naboo territory. 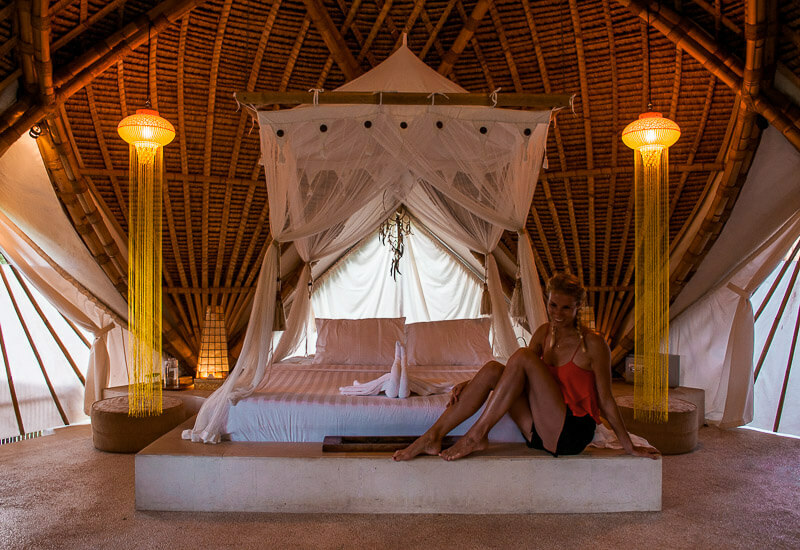 We stayed in the eco-friendly Akasha Dome which is a fancy tent that looked even better in real than online. The AirBnb booking includes a very very big common area that is equally pretty and luxurious. And it wasn’t expensive at all comparing. Across the street the kingdom continued with the Akasha Restaurant that looks like a fancy tree mansion and is overlooking the green rice fields. I was in such a dream land. An organic tasty breakfast is included in the price as well. 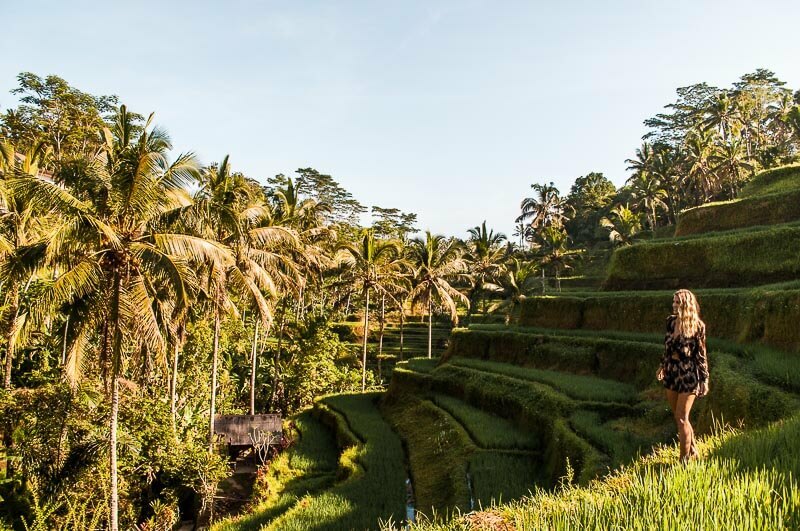 In the early morning we followed our mission to go to the Tegallalang Rice Terraces. Get there early in the morning around 7 am and you will be able to avoid the crowds and capture beautiful settings with the sun slowly coming up. I explored the area from down and above. There are a ton of Bali Swings and photo spots at the rice terraces as well. Of course, I had to do the swing again it wasn’t as big though but the view was still priceless. I heard the Jatiluwih Rice Terraces are a good alternative if Tegallang gets too crowded for you. 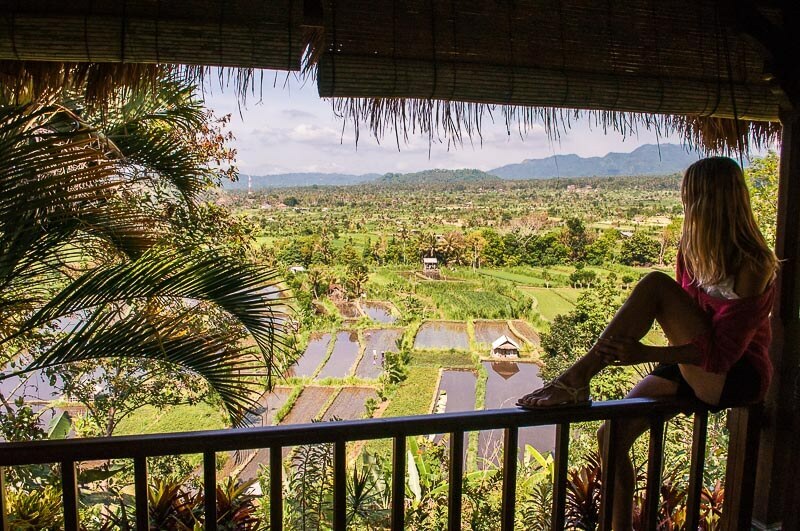 After being stuck in Ubud traffic for ages we were more than lucky to arrive in the East of Bali. ‘Yeah. No tourists around and simple small restaurants. Now, this feels like home again’. If we had known what a gem we had booked as an AirBnb place we would have tried to stay longer. No one around, located on a hill in the middle of what felt like a jungle were two guest houses with porches overlooking rice fields. Such an oasis! In the price included is an amazing homemade breakfast that we didn’t expect at all. Freshly baked bread, home made jam and the absolutely best self made organic peanut butter. We even convinced our host to sell us some (all!) of it, that’s how tasty it was! After a night with gigantic geckos in our room that kept us awake most of the time our aim in the morning was to visit the famous Temple Luhur Lempuyang. Get there early in the morning at 5.30am. The surroundings are honestly not as majestic as the appearance of the Bali Gate promises but it is indeed a real stunner. Well, see for yourself on the picture. 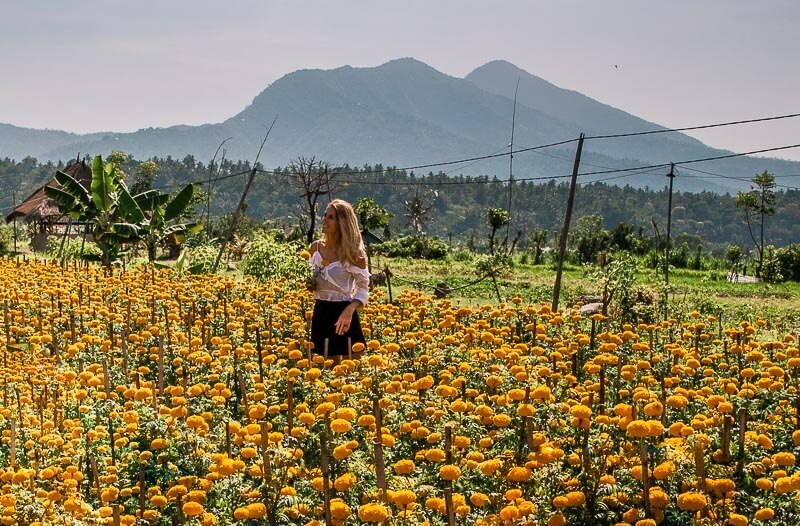 An insider tipp that is not often talked about on travel blogs is visiting the Marigold Flower Fields. In the East of Bali, there are several colorful flower fields with vivid yellow colors. They create such a magical atmosphere between the rice fields. Take the road between Kintami and Bedugal and you’re instantly surrounded by this beauty of nature. 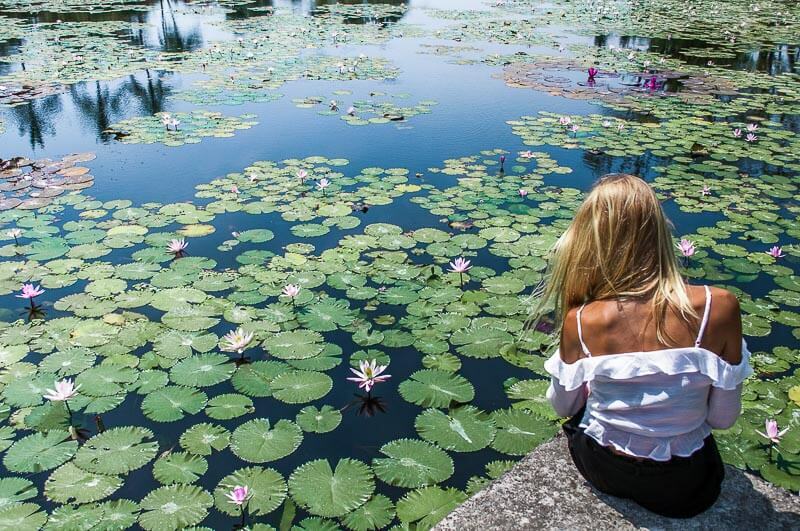 Another very unknown stunner is the Lotus Lagoon in Candidasa. Our driver friend had the wonderful idea to drive by and show us the lotus flowers. Get there in the morning before 10 am. A local guy told us that is the best time as the flowers will be open then. ‘Should we really drive all the way from the East down to Nusa Dua for one night?’. Well, I’m very glad we answered that question with ‘yes’. 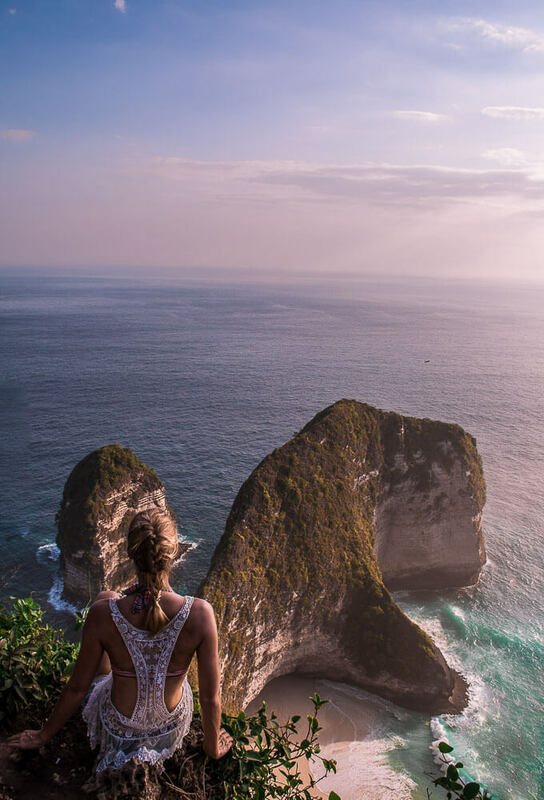 Although I do acknowledge there are many more things to discover around Nusa Dua/Uluwatu, we only had one night and I wouldn’t have missed it for the world. BinGin Beach was the perfect choice for that limited amount of time. We didn’t even know how lucky we would be with our beachfront apartment when we booked it. It was the perfect oasis before ending our Bali trip the next day as we got to soak in the beauty of Bali in all its abundance. We found Bali to not be the typical ‘Beach Island’. So, BinGin Beach was a little paradise to get that tanning and beach feeling on. Our apartment gave us that perfect beach life feeling. We felt like a part of the community for 24 hrs. The perfect finish-off was a dinner at a local fish restaurant. They prepared the fish you ordered fresh the moment you ordered it. So there we were, sitting on these little plastic chairs with the soft water of the waves touching our feet in the sand, reminiscing about the events of the past weeks. I can fully recommend a quick stopover in Bangkok, Jakarta or Singapore for your Bali trip as the journey down there is pretty long. So here are some gems for 24 hrs. in Bangkok! If you want to read more stories about Bangkok check out my article about my month in Thailand as an English Teacher. A very nice hotel that surprised us completely is the Shanghai Mansion Bangkok. It’s located in a very vibrant area in Chinatown. Food here is very much Chinese themed so you should get around a bit to catch more of the Thai culture. You gotta visit one of the many stunning temples. Remember to cover your legs and shoulders (not just with a scarf!). 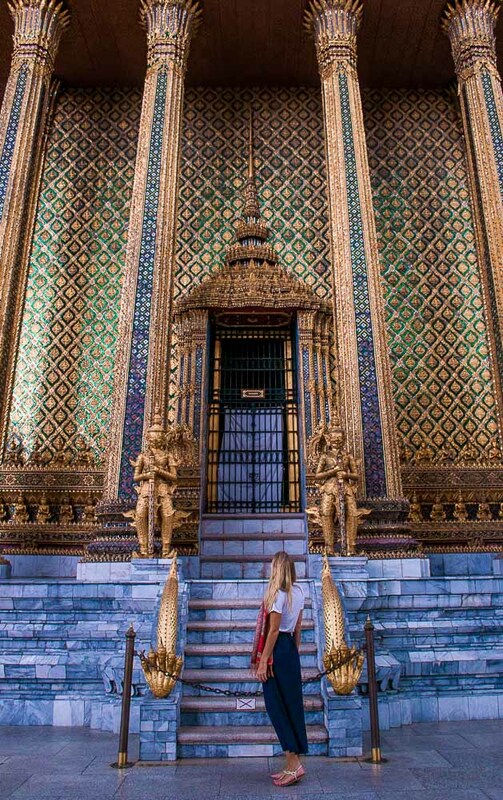 This time we visited the Grand Palace Wat Phra Kaew but I can also highly recommend the Wat Pho Temple with the Lying Buddha Statue. Last time, I didn’t visit one of the infamous rooftop bars as I didn’t want to drive around by night as this all styled up tall blonde all by myself. Although I never felt unsafe in Bangkok it still is a city with a strong crime scene so I didn’t want to push it. Hey, and there always comes a second time. We celebrated this moment with a visit of the famous Sky Bar at Lebua better known as THE bar from the Hangover movie. And sometimes you just gotta walk around and especially walk those smaller streets and you’ll find some hidden gems. 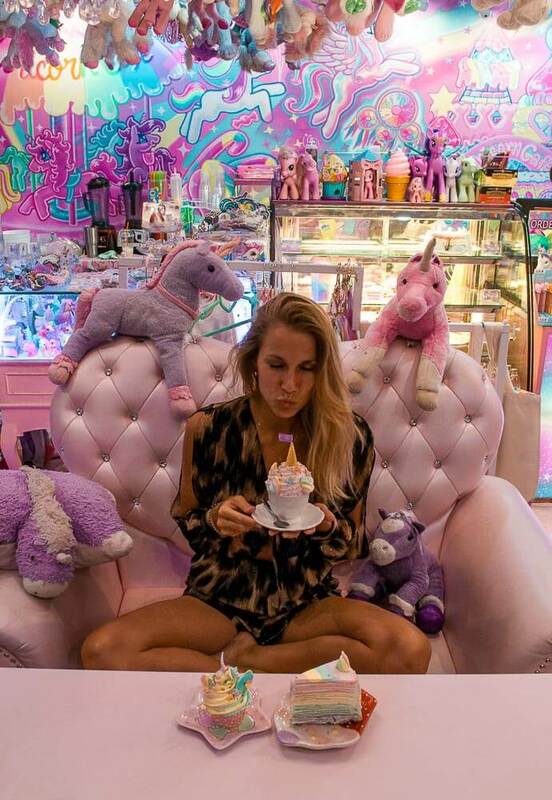 I am talking about the absolutely insane yet super cozy Unicorn Café that will take you to dream land and leave you in a sugar rush. Girls, follow me to heaven! Please don’t leave Bangkok before going to a night market. Try everything and eat as much as you can. Some local dishes you should definitely try: Pad Thai, simply any meat broth soup you can find, Som Tum and of course coconut sticky rice with mango. You can visit one of the big night markets or you can also check out some of the smaller ones like us at Patpong Nightmarket. You can also engage in the local pingpong bar culture (google for yourself!) if you feel like it. I want to wrap this what-appears-to-be-my-longest article up with some significant memories. In Bangkok, we were speeding through the night with a Tuk Tuk driver that almost seemed insane. He went from 0 to cosmic speed and kept laughing about us as we were laughing about him. Beautiful cycle of laughter and one of these situations where you’re right in the moment and that leave you feeling completely alive. The same occurred as we were riding our scooter through the golden hour on Nusa Penida. The setting sun with its golden orange tone marked the end of a peaceful day. And there we were, all by ourselves, surrounded by the mere beauty of the local rice fields. Making our way down the steep streets through an alley of palm trees. Taking in that beauty with every fibre of our bodies, we felt like we can take on the world. THAT is what life should be all about: collecting moments that make you feel so intensely alive! So go chase them and never stop!